Baskonista center will remain with the team as Scariolo has confirmed which four players are cut prior to the Olympics. Ilimane Diop could have his first minutes with Spain after Sergio Scariolo’s announcement about which 16 players will be part of the team to play friendly games before departing to Rio de Janeiro. Once the first stage of practices has concluded, Diop will head out to Burgos with his teammates to begin Spanish showcase from tomorrow against Angola. In the meantime, Alberto Abalde, Dani Díez, Guillem Vives y Pablo Aguilar will not be longer with the national team this summer. Furthermore, Scariolo has shown satisfied for young players’ work including Ilimane Diop since Spain reunited for the Olympics on July 1 in Madrid. “There is no doubt the work that young players have put on it’s been very positive, and all of them are pushing which is the case of Ilimane Diop who could make his debut tomorrow in Burgos.” claimed Scariolo. 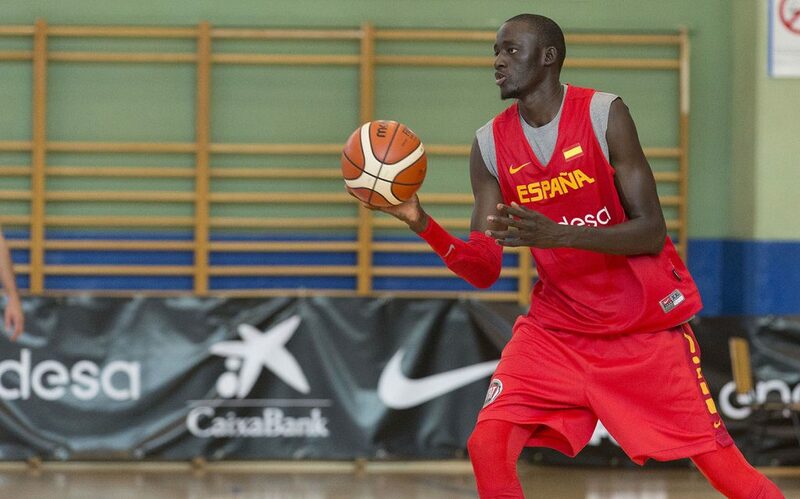 If Diop eventually makes it, baskonista would be the twenty third player wearing Spain jersey in the last ten years. 2019 Final Four tickets go on sale November 6!